When you shot a movie or record a video tutorial, it is inevitable that you must have captured some unsatisfied content. So your next thing is definitely to split the video file and enhance it to be perfect. Or the cool video you got is too big for transferring or playing on mobile devices, so you also need to split video into parts and keep the most interesting fragments you want. Under such conditions, a prober video splitting program can do a great job for you. 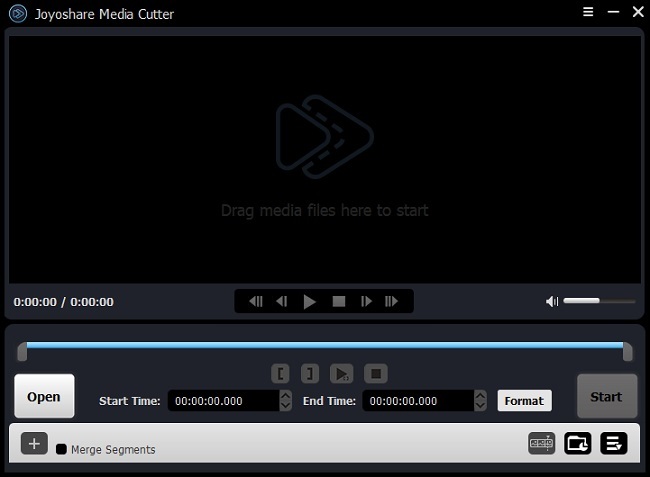 In this post, we'll introduce an easy-to-use video splitter tool - Joyoshare Media Cutter and show you how to use it to split any video file into pieces on Windows or Mac fast and losslessly. 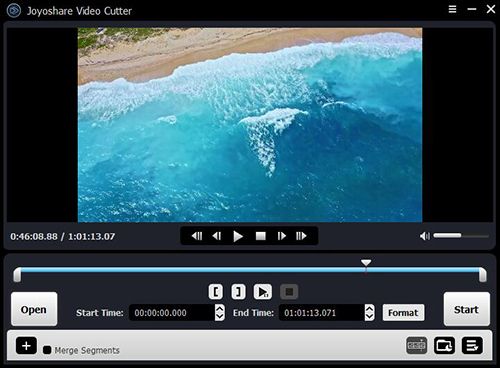 Joyoshare Media Cutter (or Joyoshare Media Cutter for Mac) is a professional video cutter and splitter to help you split large video into small segments, remove unsatisfied parts, and merge the video clips together, etc. The most important parts of this software is that it will retain almost 100% original quality after you split split video into multiple parts, and its splitting speed is awesome, owing to the innovative technology adopted in Joyoshare. Besides, Joyoshare Media Cutter supports tons of video file formats such as MP4, M4V, AVI, MPG, MPEG, WMV, 3GP, 3G2, etc., so you can split any video file as you wish. Plus, you're also allowed to export the split video onto various portable devices like Apple iPhones, Samsung Galaxy, Windows Phone, HTC, smart TVs, game consoles, etc. First of all, please get Joyoshare Media Cutter free download for PC or Mac, and open it after completes the installation. Next click the "Open" button on the top menu bar to add the video you want to split; or you can simply drag and drop the target video file to the main interface of Joyoshare. Note: Joyoshare Media Cutter is specially developed to deal with single file, and it doesn't support batch conversion, so you can only import one file at a time. Now it's your time to set the start point and end point of the file and remove the unnecessary scenes. You can just drag the yellow slider to set this, or manually enter the value to determine the temporal interval. The rest parts in the preview window will be the parts you preserve. If you want to split the video into several parts, you can click the "+" button to add another same source clip. Do the same operation as above to decide another segment you want, and remove the ones you don't want. Next press on the "Format" button and a new window will pop up. You can choose an output mode from two options - High-speed mode and Encoding mode. The former allows you to split video into parts fast and losslessly while the latter allows you to customize the quality, codecs, bit rate and other parameters. 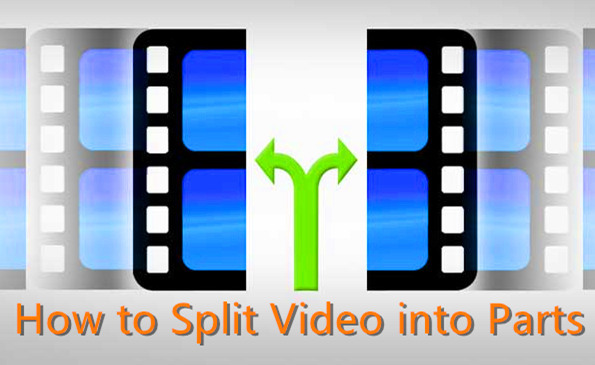 Here we suggest you to choose the High-speed mode if you only want to cut and split the video. Otherwise you can choose the second mode if you've done more editing to your video file. Once all the settings are done, you can now click the "Start" button to let Joyoshare start to split and convert video files into parts you want. A few seconds later, you can simply hit the destination folder to have a check. Note: Joyoshare Media Cutter is also available for Mac, and you can also use it to split video into parts on Mac with lossless quality. 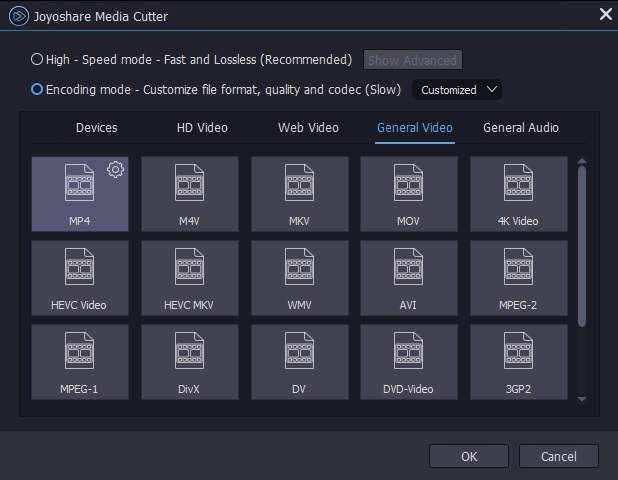 The following short video gives you how to use Joyoshare Media Cutter to cut and split video file into pieces with no quality loss on Windows.